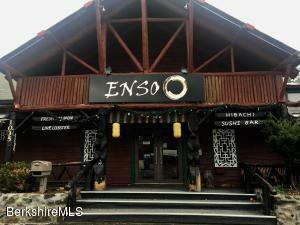 This listing includes four parcels. Over 5 acres on beautiful Goose Pond.Large waterfront parcel with plenty of remaining land for a guest house or other supporting structures. 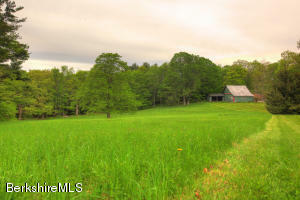 Over 80 acres backing up to State Forest. Two large swim ponds, incredible southern view. Trail systems throughout. Driveway, electric and well in place. Walk to Town from this 5 BR home that's been tastefully restored with attention to historic detailing. Gorgeous kitchen with marble counters and huge marble island, wood floors throughout, new master bath with two vanities and gorgeous oversized shower; formal living and dining rooms with pocket doors, 3 season room with access to the large deck and yard. Mechanicals have been updated, house is impeccable and you have the most special of locations. A one of a kind Lenox home! Exceptionally well designed house in the very best Berkshire location. Enjoy the convenience you can only find living in a village - walk to dinner, library & everything else, talk to your neighbors on the sidewalk & enjoy a real sense of community. The floor plan is perfect with it's center kitchen great room anchoring all the first floor common rooms, large living room opening to a spectacular screened porch that becomes the center of the home in summer. Second floor family room, 4 spacious bedrooms - the complete package. The house and landscaping for this home have been lovingly and meticulously restored by the same family for over 30 years. Land is owned on 2 sides of the road with the Umpachene River runs through the property. There are 2 ponds with extensive landscaping and one with field-stone steps leading to patio area with fire-pit fountains waterfall. The outside creates a spa like feel with the sound of water. 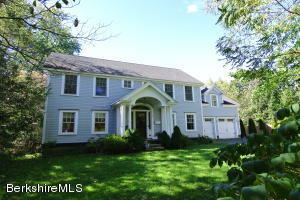 Magnificent Great Barrington turn-key home in coveted ''The Hill'' neighborhood. 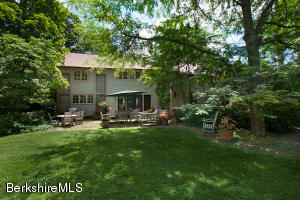 A rare opportunity to live in a tranquil pastoral setting, in walking distance to vibrant downtown Great Barrington. Spacious1st floor master suite w/ luxurious master bath, state-of-the-art sun filled gourmet eat-in kitchen, spectacular large living room w/ stone fireplace and cathedral ceilings, beautiful finished lower level. Top of the line finishes throughout. Loads of sunlight & open floor plan. 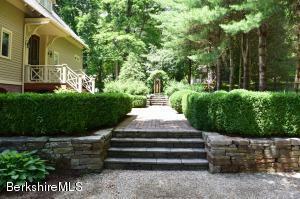 Large, level backyard w/ mature plantings, patio & meditation garden. The perfect home for entertaining family & friends or relaxing with your favorite book in front of the fireplace. 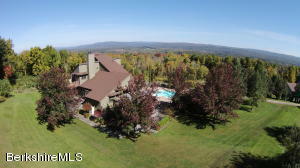 Close to the Berkshires' premier cultural attractions. 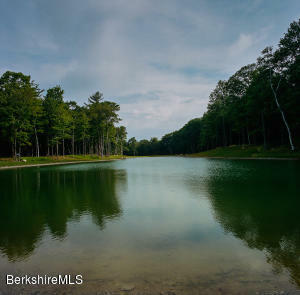 Your Berkshires paradise awaits! 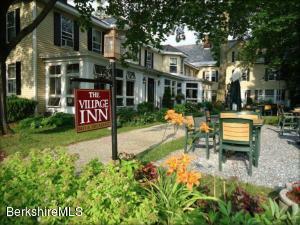 The Village Inn is a 32-guest room classic Country Inn and restaurant built in 1771 and located in the Center of Lenox MA with all the charm, elegance, and history one would expect from a New England country inn. The Inn boasts a 60 seat + restaurant, as well as a very popular downstairs pub, outdoor seating and 35 car private parking lot. 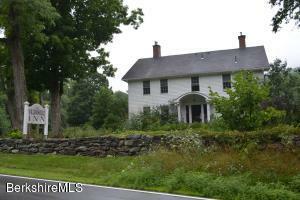 Listed well below assessed value for a quick sale. Mass Tax Credit available. FF&E Included.Call me! Monarch Hill - A dramatic hilltop setting, a unique contemporary with quality and style throughout, beautiful decks, patios and landscaping, an in ground pool, views forever, and so much more, all combine to make Monarch Hill the ultimate retreat. High above the Housatonic River and bordered by hundreds of acres at Bartholomew's Cobble, this home is designed for peace and comfort. Was once ran as a FARM TO TABLE INN. The property was renovated in 2005, included in the sale are all the furnishings as well as the name. This property has been immaculately maintained. In total you will find 16 Guest bedrooms all w/ their own baths, 3 room innkeeper quarters, completely renovated commercial kitchen w/ radiant heat, restaurant/ dining room for 90 guests, handicapped accesible baths, a large barn begging to be refinished as a wedding chapel, 2 cottages, on site orchard, chicken coop, clay tennis court, in-ground pool (all recently renovated and revamped) views, veggie gardens & attached 5 acre lot. Unit #1. Enjoy the ultimate luxury of the wellness lifestyle in this residence at Canyon Ranch, Lenox, one of the nation's premier spas. 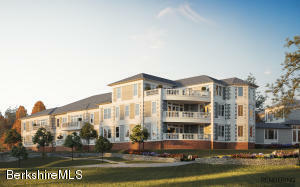 One of only 19 units, it features a spacious great room, master suite, kitchen, two fireplaces, private patio. Mandatory annual resort membership affords access to its unparalleled facilities, close to the cultural, culinary, and outdoor amenities in the Berkshires. Unit #2. Enjoy the ultimate luxury of the wellness lifestyle in this residence at Canyon Ranch, Lenox, one of the nation's premier spas. One of only 19 units, it features a spacious great room, master suite, kitchen, two fireplaces, private patio. Mandatory annual resort membership affords access to its unparalleled facilities, close to the cultural, culinary, and outdoor amenities in the Berkshires. 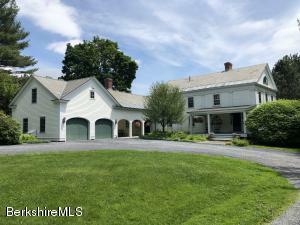 LEED rated custom home on a quiet country road with painterly views over rolling sheep pastures to mountains beyond, yet just minutes to downtown Great Barrington. Built on the site of a former farmhouse and created with great thought, spirit and attention to detail, this timeless residence features large windows, high ceilings, reclaimed wood floors and cabinetry, a first floor master, guest suites, a private studio and a second-floor covered loggia with a gas fireplace facing the enchanting view. All possible means of smart eco and conservation practices were employed such as geothermal heat, solar arrays and high R-value panelized construction, to name a few. All while creating a very pretty, warm, comfortable living environment with international style, grounded by ancient trees. Classic Post and Beam Barn in the scenic town of South Egremont. Light and bright open floor plan. 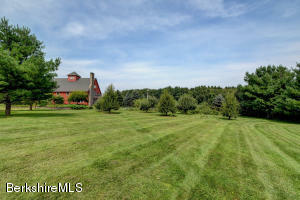 The most desirable area on 5 acres of land with east and western views. There are stunning Goshen stone walls, fireplaces, patios, an outdoor shower, an orchard of fruit trees with your own peaches, pears, apples and so much more. Separate barn is used as heated studio/living space. The interior spaces of this circa1888 barn on the former Cortlandt Field Bishop estate are masterfully designed around a dramatic three-story clerestory of windows. The beautifully equipped kitchen is perfect for gourmet cooking and family gatherings. The kitchen flows into the family room with fireplace and entertainment center. The dining room with a soaring ceiling opens to a stone patio. 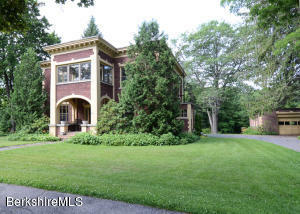 The gorgeous living room with fireplace is bathed in natural light and adjoins the library. The private master suite has an exterior balcony. The third floor has three charming bedrooms each with lofts and a gathering room. The guest areas are located with nice privacy on the first floor. The lovely landscaped pool area has access to a full bath, service bar and patio. Read more . . .